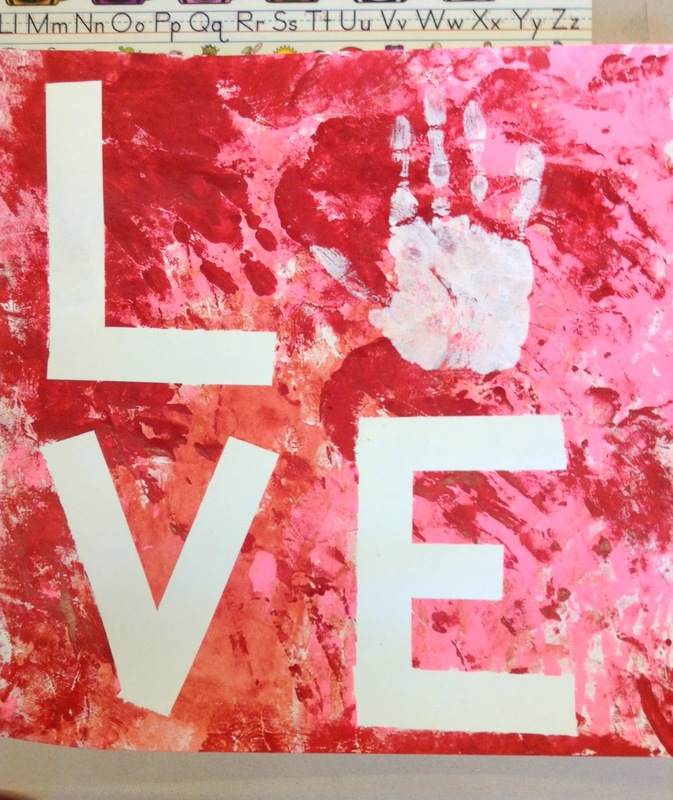 Ship Shape Elementary: Bossy R, Valentine's Day, and President's Day Freebies! 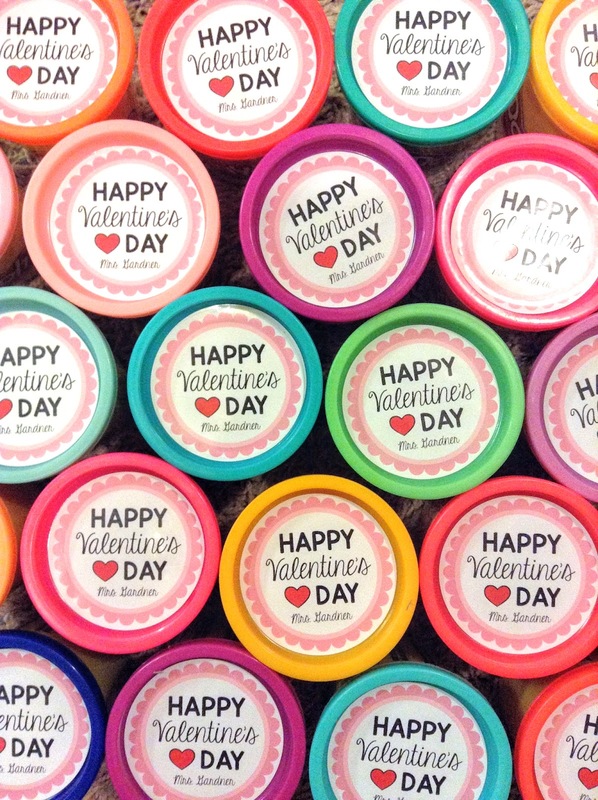 Bossy R, Valentine's Day, and President's Day Freebies! I wanted to take a quick minute and recap our busy week in first grade! We began learning about r-controlled vowels, relying heavily on these ideas from Wild About Firsties (she is great!). 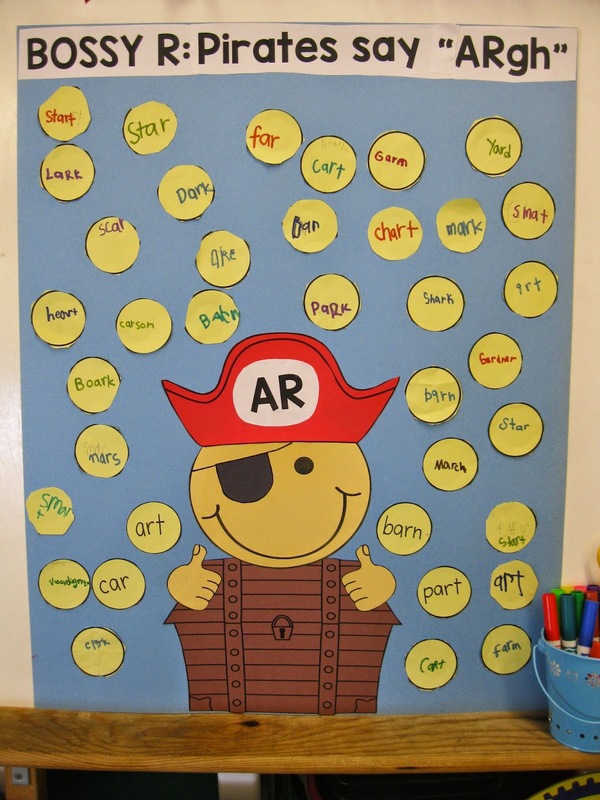 We started off with an eye patch-clad teacher and a few of our favorite pirate books. 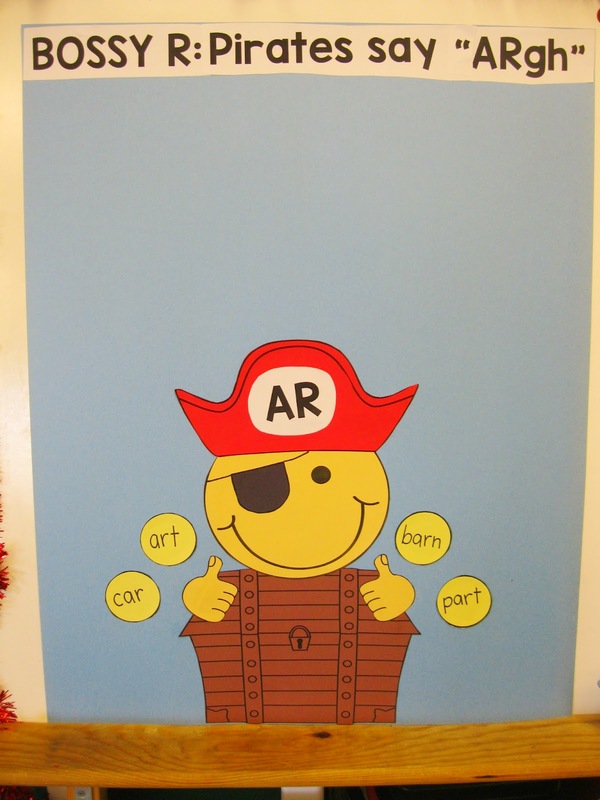 We brainstormed a few words with the /ar/ sound in them and put them on some pirate gold and then on our poster. I then sent the little buccaneers off to hunt for /ar/ words around the room or in their books; they returned with a handful of /ar/ pirate gold for our poster. 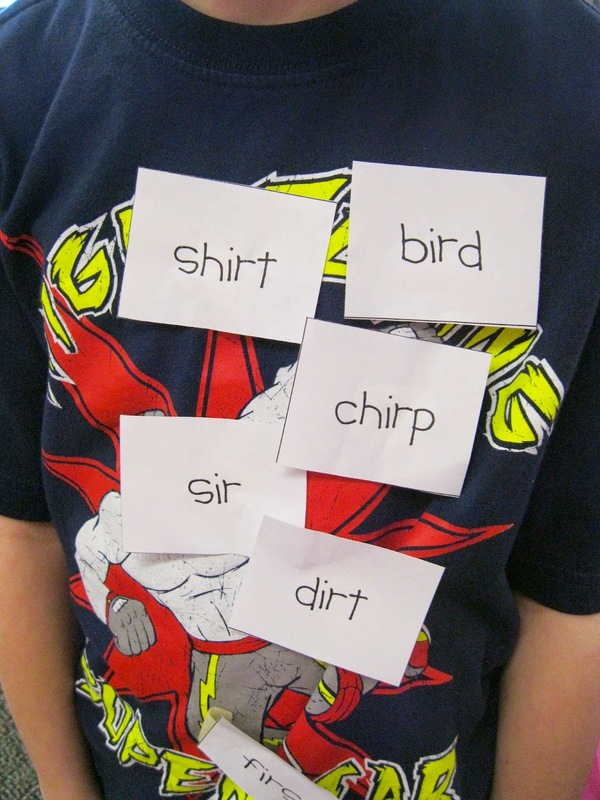 We glued the words on, read them together, discussed any that didn't quite fit (and why), and then I had everyone do some independent practice with this fun worksheet from this packet by The Moffatt Girls. 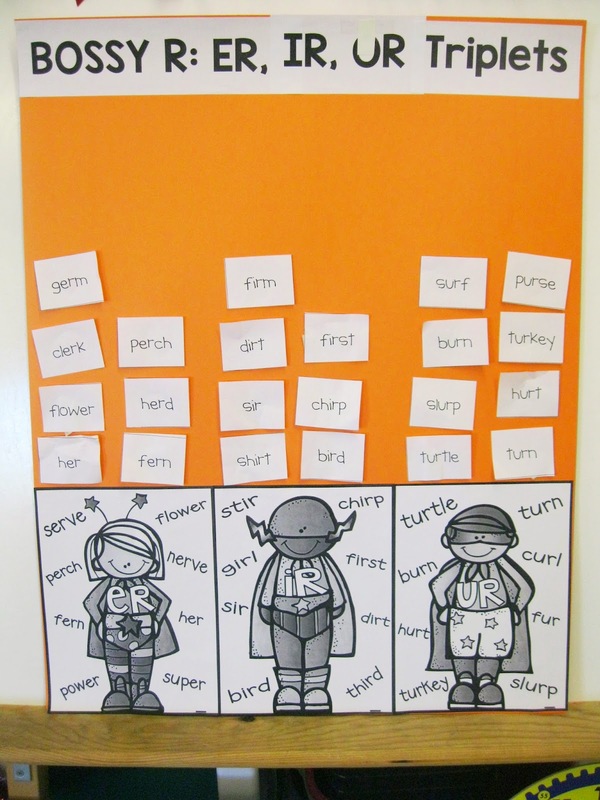 My kids loved this practice and I felt these quick activities provided a solid introduction to r-controlled vowels. The next day was all about /or/ and I followed a similar lesson format...with a theme of popcORn! We read this book...which is always a class favorite! 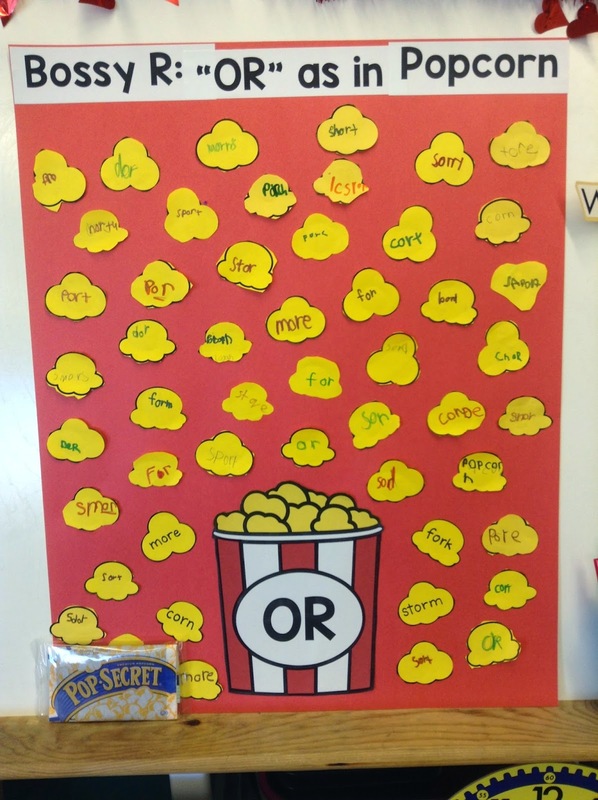 We went on a hunt for /or/ words around the room and in our book bags, and put those on our popcORn poster. We also did an /OR/ worksheet from the same packet. In addition to all that I had my kids do an /or/ and /ar/ sorting activity with these fun cardboard popcorn boxes I found at the grocery store! They loved this and it made it easy for me to see who understood what about the r-controlled a and o. The next day was probably the favorite! I introduced the bossy r triplets: /er/, /ir/, and /ur/. I pulled three of my kids out into the hall prior to this lesson and dressed them up a bit. They were so excited! We talked about the sound that all three of these make and how we can pay attention to that when we are reading. I had hidden words under their desks and sent them off to retrieve them, read them, and then stick them on the correct triplet. Those words then made it onto our poster. 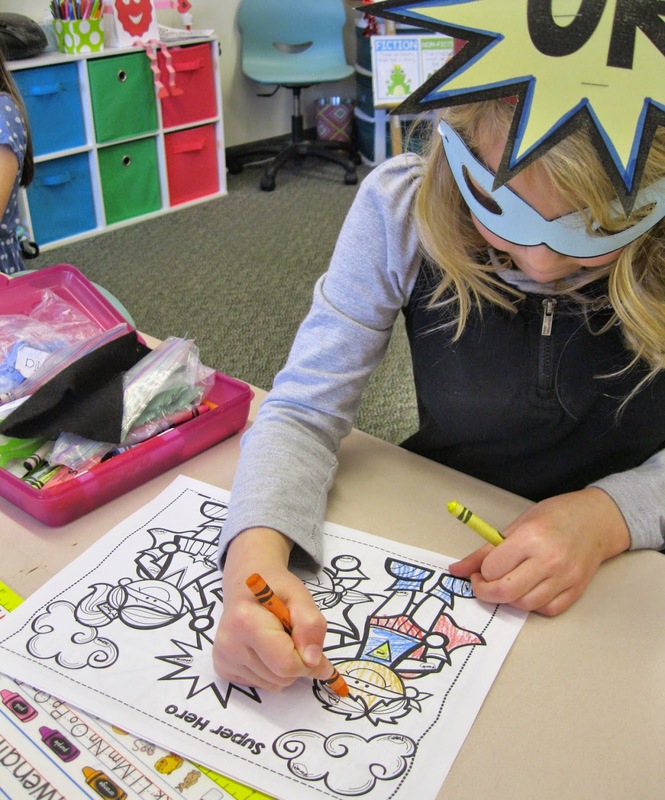 We then put on our super hero masks and got to work on this free page from Wild About Firsties. I found myself really excited after these three lessons because I was able to verify that nearly everyone "got it" and I now find them pointing out (and getting really excited about) r-controlled vowel words in their reading and writing. Now, a bit about Valentine's Day... my kids were so excited about this day and the activities that we did leading up to it. I used a lot of the fun activities in this packet from The Teacher Wife. 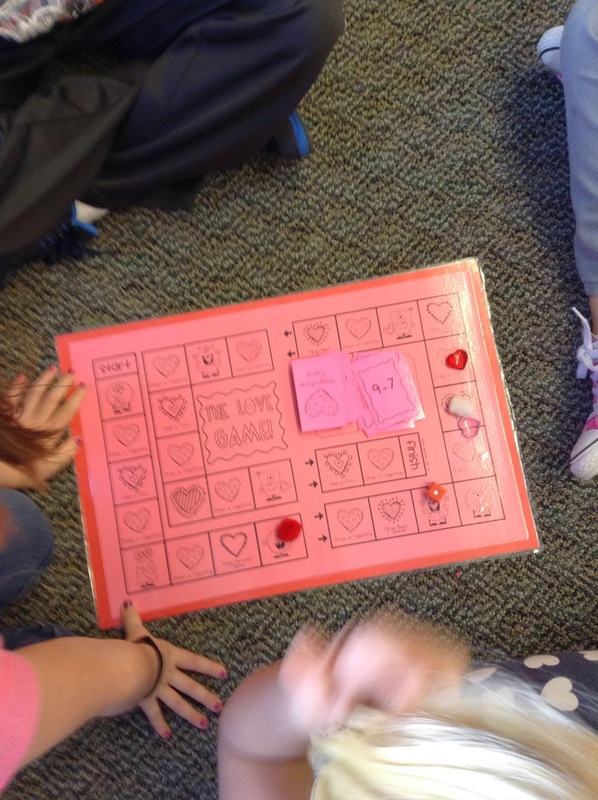 For center activities this week my kids loved this Valentine writing center and this Valentine/Math board game, both from The Teacher Wife. The day before the big day we made these adorable Love Monsters (also from The Teacher Wife...I'm kind of a big fan). This went over SO well and my kids got so many compliments from everyone who saw them. 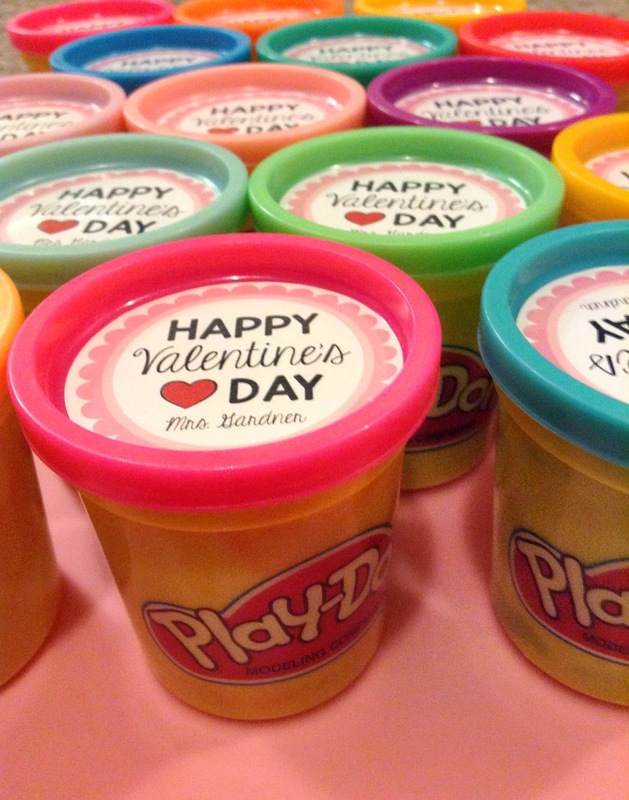 For my valentines to my kiddos I got these cute little play-doh cups on Amazon and put a little label on top from me. They were so excited to find these hidden in the bottom of their love monsters on Valentine's Day! 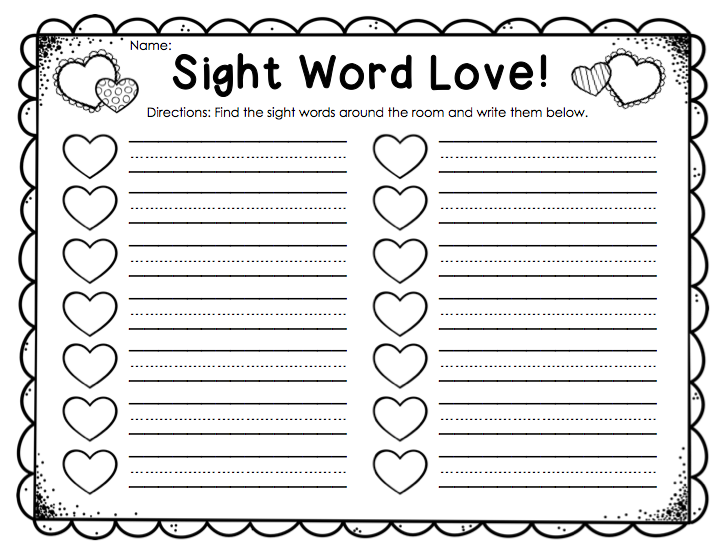 On Valentine's Day we did this Valentine's Sight Word hunt from The February Packet. I tried hiding these hearts in what I thought were really challenging places (under desks, on the sides of door frames, etc. ), but they found them all! The Room Mom Valentine's Day party was a riot! My kids loved every minute! They painted these adorable "LOVE" posters to take home, they had heart races, they decorated cookies, they delivered their valentines, and they played "Pin the kiss on Mrs. Gardner"! SO many smiles and giggles! Because last week was all about Valentine's Day I will be teaching President's Day this week. 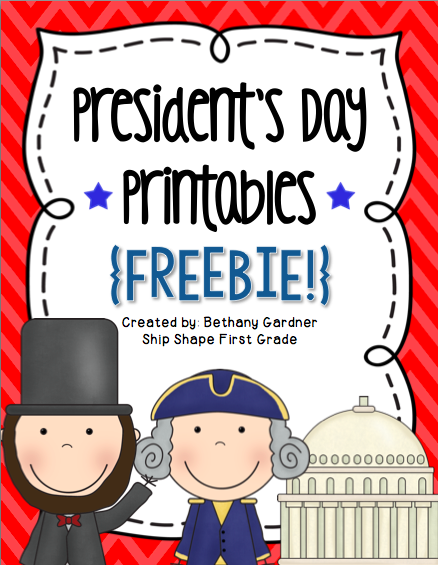 If you are in need of some free President's Day resources make sure you download this free packet! Thanks for reading! Happy President's Day!